Achieving the everlasting youth has always been a fantasy of human mind and now it seems that even this dream has taken a shape in reality. 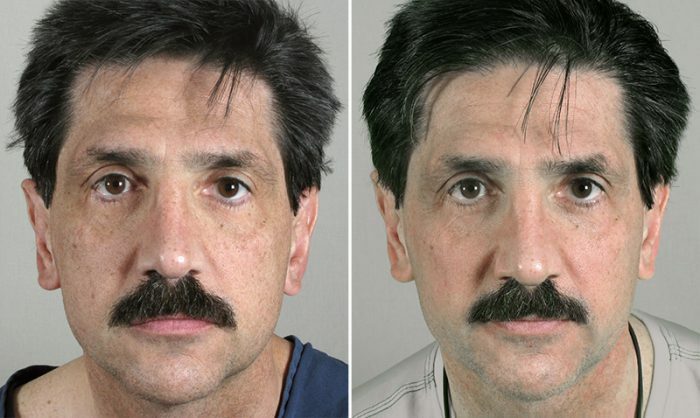 Electrical Facial-Skin Treatments are showing remarkable results in reversing the signs of skin and muscle aging. So, if the wrinkles on your face have become your greatest enemy reminding you every moment that time has gone by, put a stop to them and get back the lost time by reversing the signs of skin aging in a scientific way that actually works. If you are not very familiar with the term Electrical Facial-Skin Treatments, don’t worry. We are here to give you a detailed idea about these sophisticated treatments that can give you back the lost time. What is Electrical Facial-Skin Treatments? For the ones of you who are not familiar with electrical facial-skin treatments, let us start from the very basic. Electrical Facial-Skin Treatments are known as cosmetic electrotherapy in the language of science. This term includes a range of beauty treatments where electrical current is used through the skin to give different therapeutic and cosmetic effects. So, to put it simply, Electrical Facial-Skin Treatments involve use of electrical currents through the skin to enhance the skin quality and also to improve the effectiveness of the different skin care products. The most interesting thing that you might actually like to know is that use of electricity on facial skin to achieve cosmetic outcomes has a history that can be dated back to the 19th century. After it was discovered that electricity can cause contraction of the muscles, subsequent researches were also carried out in this arena to support the effectiveness of these processes in skin and muscle rejuvenation. 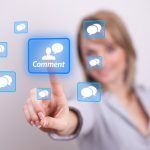 In this article we will discuss on each of these processes in brief and will also highlight the different skin concerns for which the different modalities of the cosmetic electrotherapy are used. 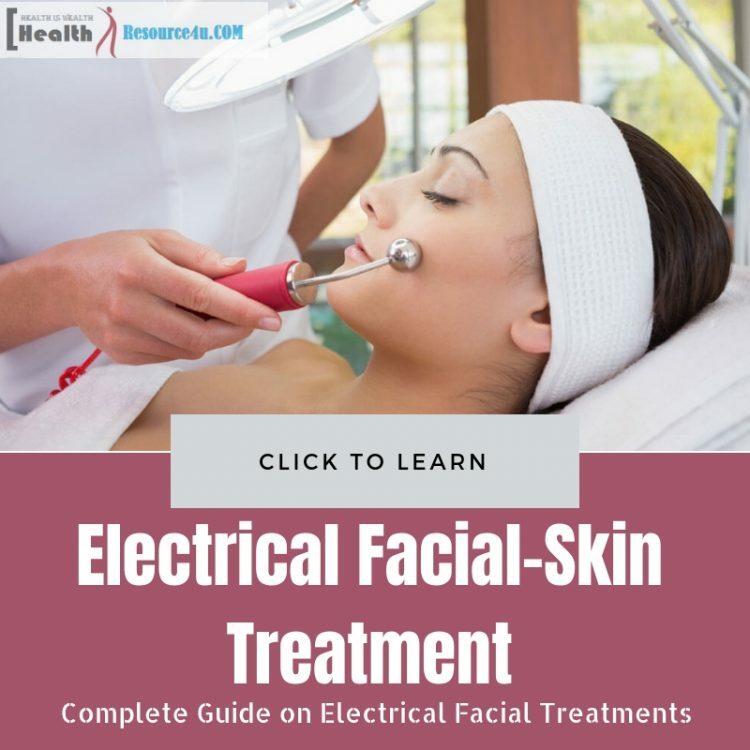 Before going to that, let us take a brief look at how these Electrical Facial-Skin Treatments work. How does Electrical Facial-Skin Treatments work? Galvanic electro-facial skin treatment is the most common amongst all the cosmetic electrotherapy facials available today. This method is used for preparing the skin to ensure better extraction of skin impurities and also to increase the penetration of the different skin care products applied in a facial. For this treatment, a sophisticated galvanic device is used which emits Direct Current (DC) to bring some chemical changes in the skin. In Galvanic treatment, according to the objective of the process, an alkaline or acidic solution is applied on the skin and the electricity is given through a metal probe that remains attached with the galvanic device with a wire. There are different types of metal probes but the roller is the most common type. Before the treatment starts, another wire is attached to some other part of the skin to make a closed loop. However, here only a very low level of current is passed, so the process is completely painless. The aesthetician moves the metal probe around the face for few minutes according to the objective of the treatment and then the current flow is discontinued by breaking the circuit. As the current pass through the skin, it helps opening up the skin pores, promoting better extraction as well as penetration. The first step of the galvanic facial treatment is known as desincrustation. In this step an acidic solution is applied on the skin, before using the galvanic probe. The objective of this step is to open up the skin pores, soften the tissues and also to increase blood circulation in the area. This step is used for cleaning the face. It helps in breaking down the skin oils stuck in the pores, clears the follicles and makes extraction of any skin impurities like blackheads and whiteheads simple. This step is highly effective in treating skin problems like pimple and acne, as it ensures maximum deep cleaning of the skin. Right after the extraction of impurities from the skin, an alkaline solution is applied to the skin before using the galvanic probe. This step ensures closing of the pores and reduction in the blood circulation in that area which was triggered by the first step. This also helps in soothing the nerves and firms the tissues. This step is known as anaphoresis. This is the last phase of the treatment where a positive pole is used to improve the penetration of skin care products into the skin. Usually, this step is carried out after applying the face pack on the skin as it improves the penetration of the active ingredients from the pack. This step of the galvanic treatment is known as iontophoresis. This electrical treatment is used primarily for stimulating and toning the facial muscles. Unlike the Galvanic process, this treatment uses Alternating Current (AC) to promote restricted contraction of the facial muscles. Neuromuscular Electrical Stimulation or NMSE can also be done on other body parts to burn out cellulite and to improve muscle toning. This treatment involves passing of the AC current repeatedly to a particular muscle resulting into repeated contraction which will make the muscle firmer. It also helps in increasing the rate of metabolism of the muscle. Added note: Depending on the area of the treatment, sinusoidal current, which is similar but gentler than the faradic current can also be used. Sinusoidal current also offers the same benefits as of the faradic current. This Electrical Facial-Skin Treatment works by activating the skin with high impact oscillation. This process uses Alternating Current. It is mostly used for speeding up the healing of acne affected skin and can treat even the worst breakouts quickly. The process is also used for reducing excessive oil secretion from the skin. It uses high frequency but low-current which is delivered to the skin through a glass electrode. Unlike the metallic probe used in a galvanic process, the high-frequency treatment uses glass probes that come in various shape and size to accommodate the different facial areas. The glass probe is first connected with the High frequency machine that emits electricity at up to 250,000 Hz frequency. The glass probe comes filled with different gases like neon or argon. When the machine is turned on, depending on the particular gas present, the probe emits a glow of violet, red or orange color. First the area of the face to be treated is covered with a gauze and then the probe is run over it for a few minutes. In this treatment there is no need of using two electrodes for making a closed circuit. Here the gas filled probe produces ozone molecules that kill any infection causing bacteria present on the skin. The probe also emits heat, which enhances the drying and healing effects of the treatment. While the probe is being run on the skin, there might be some sparks and hence it is important that the treatment is carried out only by an experienced aesthetician. Micro-current treatments use electricity in the micro-ampere range and mimics the natural bio-electric currents produced by the body. Microcurrent treatment or MENS in short has been used in medical applications since 1970s. This treatment offers a bunch of benefits to the skin including increased toning and lifting effects. This treatment can be used for all the body parts including the face. The facial muscles, however, remains directly connected with the skin and hence the effectiveness of this treatment on face is highest. The treatment increases ATP synthesis in the facial muscles which energizes the muscles, giving similar effects like exercising. The great lifting effects offered by MENS on facial muscles have propelled the naming of this facial electrotherapy treatment as “non-surgical facelift”. Helps in healing damaged skin. Starting from sunburn to stretch marks, acne or scarring all can be efficiently treated by this process. • Electrical Facial-Skin Treatments offered by an inexperienced aesthetician can be damaging for your skin. The treatment needs to be offered with caution and it should not be continued on a particular area of the skin for more than a specified time span. So, always make sure to avail these treatments only from a high end spa with experienced aestheticians. • One serious risk factor involved with Electrical Facial-Skin Treatments is that, if you had a nerve injury on your face or neck previously, the processes might damage the nerve further and exaggerate the problem. • Getting Electrical Facial-Skin Treatments after having a chemical peel or laser procedure recently can be extremely damaging for the skin. This 18 year old teen ager had prominent acne marks and lesions on the sides of her face. She was suffering from excessive oil on the face as well as regular acne breakouts which had left permanent scars on her skin. 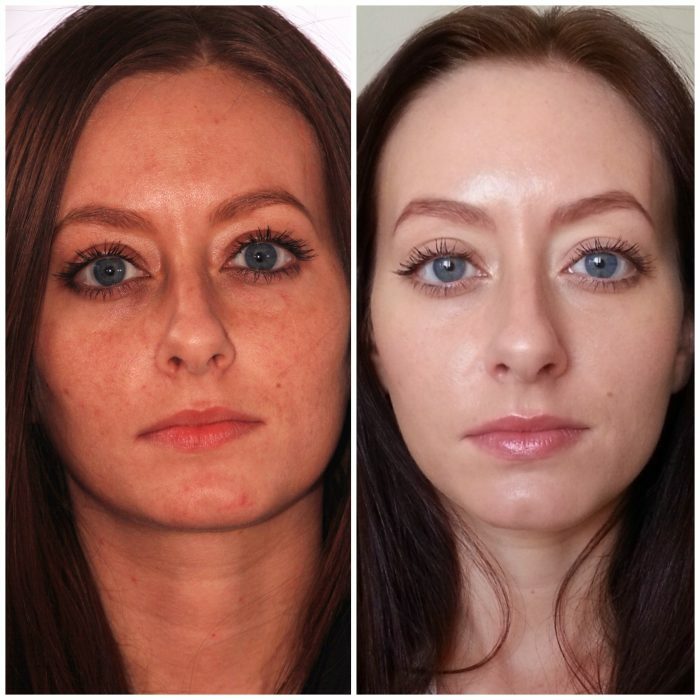 While expensive anti-acne products were able to control her breakouts to some extent, nothing seemed to work on the scars that were already made by acne. She opted for High-frequency electro-facial skin treatment to get rid of the acne marks and also the problem of acne. After a few months and 5 sittings with a renowned aesthetician you can see the changes in her skin. She still undergoes Electrical Facial-Skin Treatments at regular intervals to keep acne at bay. The second case study involves an up 45 man with irregular skin pigmentation and wrinkles on the face. He did not have any complaints of acne or sensitive skin, but he wanted to get rid of the tired look that was making him appear older than his age. He was suggested to undergo Micro-current electrical neuromuscular facial stimulation to improve his overall skin condition and to soften the wrinkles. 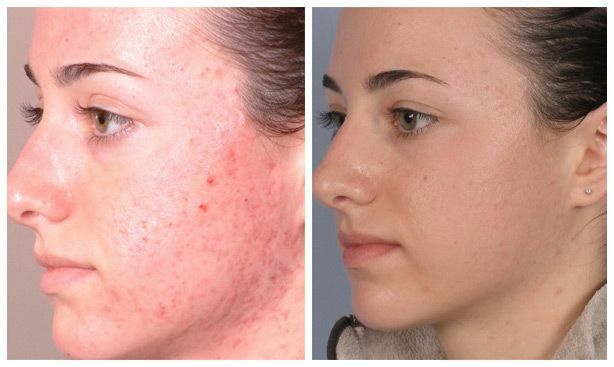 As you can see in the second picture, just after two sittings, the problem of irregular skin pigmentation has reduced to a great extent and a lifting effect is also prominent on the face. The wrinkles have also softened considerably but he needs to undergo more treatment sessions to improve the effects. This 28 year old girl has a career in modelling but she was worried with the quick appearance of the signs of aging on her face. She blamed it on the excessive strong lights and high makeup that she had to endure every day for long hours due to her profession. In order to suit her particular needs, she was suggested to undertake Electrical Facial-Skin Treatments of different modalities at different gaps for a span of few months. You can see how her skin, complexion as well as muscle toning has changed after 5 months of regular treatment involving different electro-cosmetic facial procedures. Well, the primary problem for this 65 years old lady was the prominent signs of aging on her face that gave her a tired look. While it was apparent that getting rid of the wrinkles completely was not possible, giving a rejuvenating effect to the skin was the main objective here. She had undergone many sessions of Micro-current facelift for the next 2 years apart from opting for an eye-lift surgery. The results are evident on her face as the wrinkles on her skin has now softened considerably and overall she looks much younger that before. This 45 years old lady had prominent acne marks as well as the problem of enlarged skin pores on her face. Wrinkles were the other problem that she was facing at her age. She had excessive oily skin which also made it difficult to lather on makeup to hide her skin imperfections. 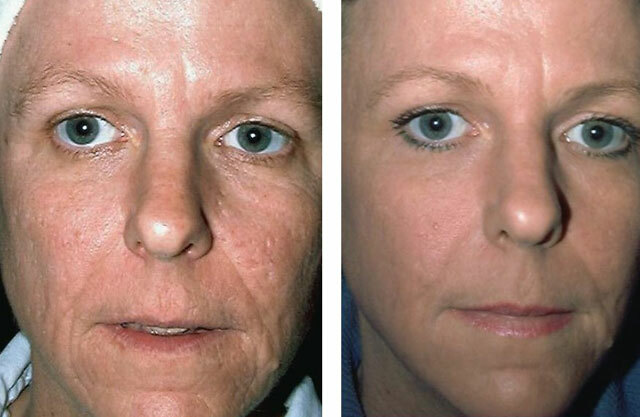 With the hope to get a long term solution from all these skin issues she opted for Electrical Facial-Skin Treatments. Her treatment regimen included a combination of High-frequency electro-facial skin treatments and Micro-current facials. The treatment plan spanned for over 6 months. The changes the treatments brought to her skin in that span are evident from the second picture taken 6 months after. Currently, she has no skin problems but she is suggested to continue with at least 1 sitting of galvanic facial treatment every month to keep the skin problems at bay. Question #1 Are the Electrical Facial-Skin Treatments painful? No. In the sophisticated Electrical Facial-Skin Treatments offered today at the high-end spas only very low-current is used. So, there is no chance of feeling pain. However, you might feel the current which can cause a tingling sensation. It might startle you but will not cause pain. Question #2 How long it takes to complete one sitting of Electrical Facial-Skin Treatments? It completely depends on the type of treatment you are going through as well as your skin concerns and objectives. The time taken might also vary depending on the particular preferences of the aesthetician providing the treatment. However, typically, a single sitting of electrical facial treatments do not take more than an hour. Question #3 Are there any aftercare for Electrical Facial-Skin Treatments? No. The objective of electrical facial treatments is to increase the efficiency of your regular facial. It invigorates your facial muscles and skin so that you get an overall rejuvenating effect. The aesthetician might suggest you some particular skin care products to make the effects of the treatment last longer. However, you might or might not use them depending on your preferences. Question #4 Are there any side effects of Electrical Facial-Skin Treatments? The answer for this question is No. Electrical facial has no side effects like Botox or other minimally invasive skin treatments and fillers. The electrical facials are painless and completely non-invasive. You will not be given any injection or medication or even a muscle numbing gel before undergoing the treatments. The only side effect that you might feel while undergoing a Galvanic treatment is a slight metallic taste in your mouth. 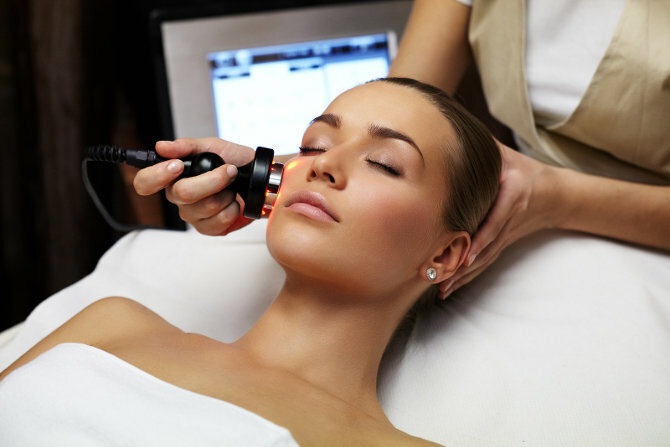 Question #5 Does every facial includes an electrical-facial? Certainly not. Normal facials usually do not include any electrical gizmos that can deliver measured amount of current to the facial muscles and skin. Electrical facials, particularly the Galvanic facials are most commonly are used in high-end spas to improve the effects of the facials they offer. Other processes are used only according to the specific skin concerns of the client. 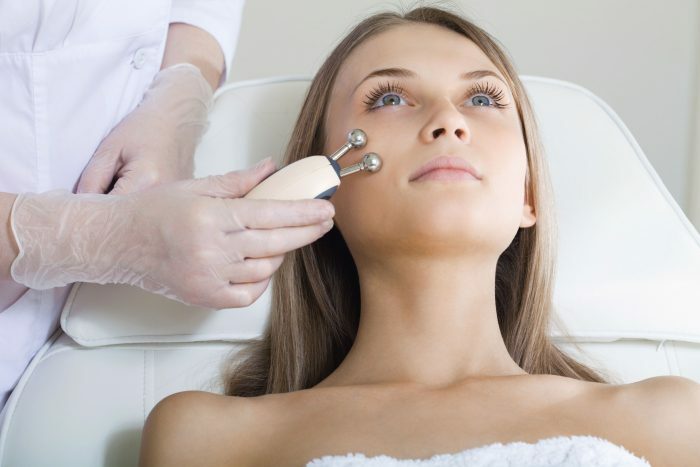 If the facial includes the use of electrical-current, it will certainly cost you more. Question #6 Do I need to opt for Electrical Facial-Skin Treatments always, if I have it once? Well this is a question of your preference. Electrical facials give you a bunch of benefits. However, you may or may not opt for regular electrical facials depending on your choice. If you undertake electrical facial ones, it does not mean that you will have to repeat it regularly. However, if you want to keep the effects of the treatment intact, then you will certainly have to repeat the process frequently. 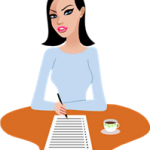 Question #7 What I need to know before opting for Electrical Facial-Skin Treatments? Before you opt for any Electrical Facial-Skin Treatments the first step should be to consider your skin concerns. Discuss it with your aesthetician to ensure the right treatment plan for you. If you have no skin concerns in particular but you just want your skin to look brighter and healthier, you can always opt for a galvanic facial. This is the most common electrical facial avilable. However, before opting for any Electrical Facial-Skin Treatments do not forget to read about any downfalls of the process. Why should a diabetic not opt for Electrical Facial-Skin Treatments?